80% of Catholics lose their faith by the age of 23. We won't let that happen to you. NOVUS means "new beginnings" in Latin. Each August before New Student Orientation, incoming students are encouraged to sign up for this Catholic retreat to kick off this new season in their life. 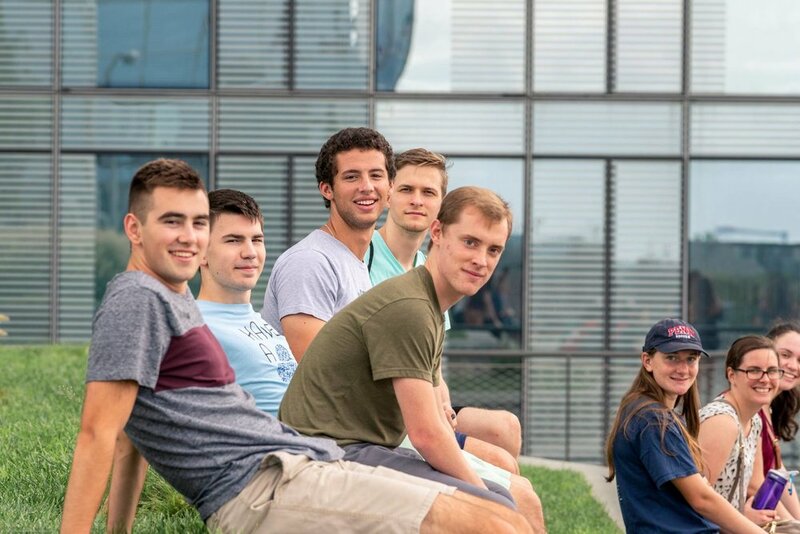 Many of our current student leaders went on NOVUS, and many more have expressed how valuable this retreat was in helping them start their academic career at Penn. 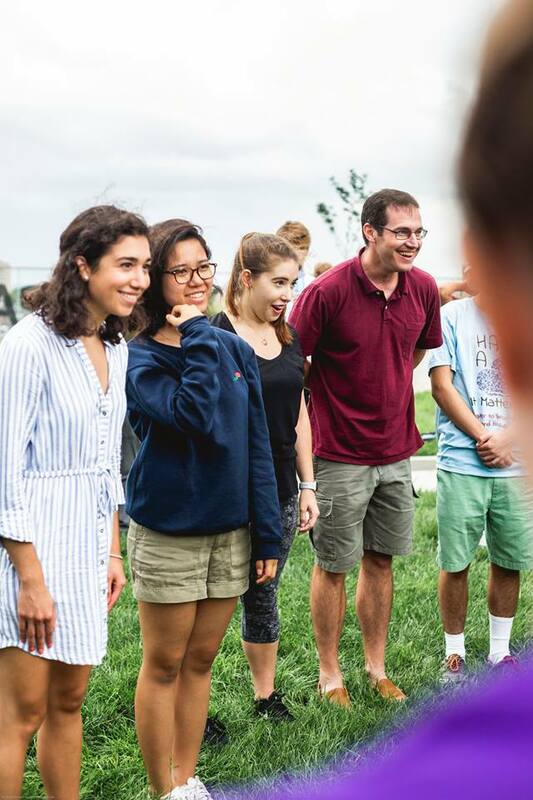 Not only does NOVUS give you the chance to meet some of your fellow peers in a smaller group setting, but you get to interact with upperclassmen and staff as well. Be the very first to check out our grand-spankin’-new Newman Center! The retreat is held here at our new facilities located at 38th + Chestnut, providing you with the opportunity to become comfortable in your new home and the chance to explore the campus with us before the rush of NSO. We’ll also be checking out hidden rooftop parks, tour the local urban area with student insider tips (#foodtrucks), have a bonfire (yes, in the city! ), Mass and adoration and confession, peer led small groups, and much more. 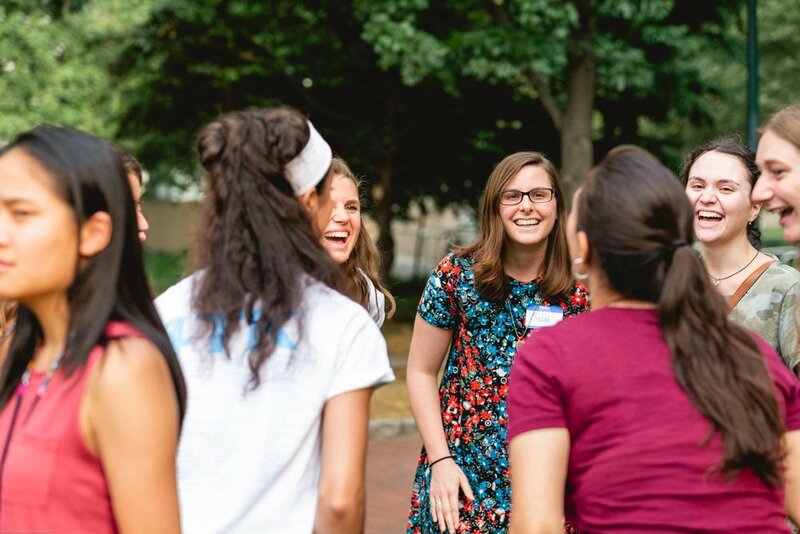 It's a great opportunity to not just meet other Catholic students, but to learn about what programs Penn Newman offers, ways to get involved and lead, meet your campus ministers and FOCUS missionaries, and to start off the school year with the spiritual tools you will need on campus. The retreat will begin in the afternoon of August 19th through August 21st. The university graciously allows our Newman students to move in early, and we take care of this for you upon your registration. Note, the university does charge you $40 for the early move in. Our cost for the retreat is just $45. You will have all morning on the 19th to move in and we encourage all of you to bring your families to our noon mass pre-retreat kick off. If cost is a factor holding you back, please do not hesitate to reach out to us directly! Even before you get here, we are so happy to help. Note: Registration is not considered complete until fees are paid. 8 digits. It's okay if you don't know this yet. If you know the building you will be living in, please write below. If you know your room number, please write below. Thank you for registering for the NOVUS Freshman Retreat 2018! The cost for this retreat is $45. You can either pay on our website (newman.upenn.edu) or mail a check addressed to Penn Newman to 3720 Chestnut St, Philadelphia, PA 19104. The University charges apprx $40 per night for early move in. Though we take care of registering you for early move in, you will be contacted directly regarding payment from the Residential Services. NOVUS is scheduled to start in the early afternoon of August 20th so that you will have all morning to move in! We'll email you shortly with further details, and we can't wait to meet you! Any questions at all? Email Patrick at ptravers7@newman.upenn.edu or Carolyn at cshields@newman.upenn.edu. 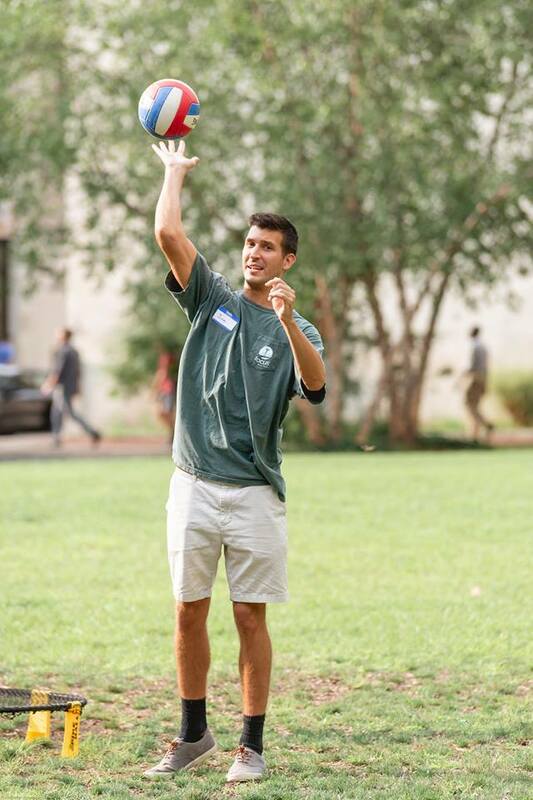 We're happy to tell you more about NOVUS, our programs, help you get in contact with other current Catholic students, schedule a visit to the Newman Center, and even find you a place to stay on campus with one of our student leaders. We can’t wait to welcome you home and will see you soon!